Contact Janice directly at 619-997-7612 and she will send a certificate to you or to the recipient. MC, Visa, & Discover accepted. Want to receive my free monthly Health & Wellness Newsletter? I won't share your address with anyone. Janice Thompson, Holistic Health Practitioner and California Certified Massage Therapist, practices massage at the Better Health & Wellness Center in Poway. 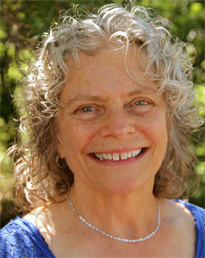 Janice has been licensed and active in the massage field since 1993. She has been certified by the National Certification Board of Therpeutic Massage and Bodywork since 2004 and is a professional member of the AMTA. Also available at the center is chiropractic, skin care, acupuncture, and nutritional counseling. To help bring about a state of balance in the individual client — physically, emotionally and mentally. To assist in easing pain and discomfort and in restoring health and vitality.